Motherhood is a gift from God, but sometimes it can be overwhelming. Reorienting exhausted mums to the soul-satisfying grace of God, Gloria Furman helps readers learn to treasure Christ in the mundane moments of life. 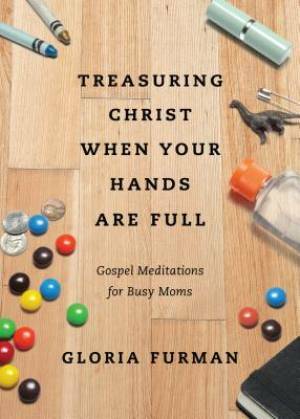 Treasuring Christ When Your Hands Are Fu by Gloria Furman was published by Crossway in March 2014 and is our 11142nd best seller. The ISBN for Treasuring Christ When Your Hands Are Fu is 9781433538889. Be the first to review Treasuring Christ When Your Hands Are Fu! Got a question? No problem! Just click here to ask us about Treasuring Christ When Your Hands Are Fu.